Escape the cognitive burden of city life — in cities we are inundated with technology from all angles. Escape the city to escape technology. 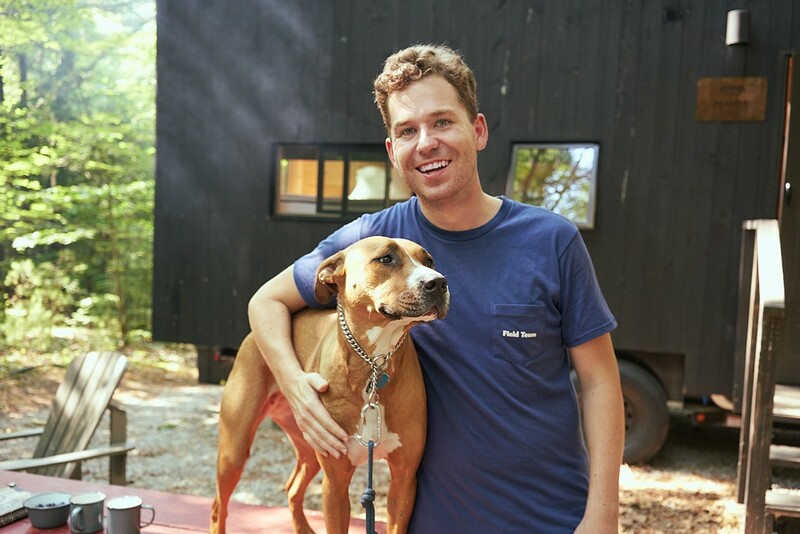 I had the pleasure to interview Jon Staff, the Founder and CEO of Getaway House Inc.
Getaway is my third venture-backed startup. This is the first one that has a product offer I care deeply about — to the extent I worry about my self-identity being too deeply tied to the company. I got here in a cliche way: I burned out in my prior companies and finally resorted to doing things I was actually interested in instead of what I thought was the popular or most likely to be successful idea. Especially at first, it was not at all clear that Getaway wasn’t too crazy to be successful — but because of who I am am and where I come from, it is the perfect company for me. It’s a cliche lesson (follow your heart! ), but cliches become that way for a reason, I guess. We are excited to continue to bring Getaway to more people across the country. We have plans to open Outposts in Southern California outside of LA. This will be our first introduction on the west coast which is very exciting for us. In addition, we have plans to open several more markets next year. We just launched a Student Program inviting students across the country to enjoy Getaway at a discounted rate. We feel it is vital to start to think about balancing the joys and pleasure of life in addition to career and life goals. There is no better time than during your college years to think about overall well-being when student life brings its own level of stresses. We also just launched the Getaway podcast with myself and my co-founder Pete Davis in conversation with people from a vast array of backgrounds, philosophies, and beliefs who are working to build more balance in the world, including the founder of the Light Phone and Jess Davis from Folk Rebellion who is on a mission to leading our plugged-in world to digital well-being. Pete and I will also be launching a book this fall which I am very excited to share. We will announce the details in October. – Escape the cognitive burden of city life — in cities we are inundated with technology from all angles. Escape the city to escape technology. One of our primary core values is about encouraging digital disconnection and balancing one’s work life with leisure and immersion in nature. As a result of the ease of access to cell phones, technology, and “connecting” at every turn, society has been socialized to respond immediately to emails, texts, instant messaging, and calls — at all hours of the day and night. I feel it is ultimately the individual who will determine when it is time to reset and recharge mentally and physically — unfortunately, this comes at a time when the body or mind begins to breakdown as a result of overwork, stress levels, and demands of life. It is necessary to both be preventative and not just reactive. It can begin with basic and very simple daily decisions to dumb down your phone — turn off notifications, turn off or bury the most addictive apps; take back control of your email and consider answering your emails at the pace of snail mail; and most importantly take a digital detox — start with a day then a week. Choose to live in the present moment and make the conscious decision to be fully present with your friends, family, and others rather than allowing the digital world to own your every move. For me, it’s all about balance with everything. Young people and students are the next generation of our workforce, so it’s more important than ever that they establish healthy work-life balance habits early on. However, with the rise of technology, social media, and smartphones, the balance between technology/social media and disconnection is harder to achieve now more than ever before. These habits on their own may be harmless, but they are ultimately reflective of an unhealthy work culture that extends beyond the college years. As younger adults consistently gravitate towards social media and digital platforms, digital addiction and work-life imbalance in school can only continue to contribute to our broken work culture post-graduation. Here’s a list of handy tips for the average student or youth to help them practice balance, manage digital addiction to social media and other online platforms, and stay present. – Leave your phone out of reach when you go to bed. Looking at social media on your screen right before bed strains the eyes and reduces sleep quality. – While in transit or on the go, keep your mind occupied while keeping your eyes up by listening instead of scrolling social media. A curated playlist, podcast, or audiobook is perfect for any commute and for reducing screen time during downtime. – Avoid multitasking. Don’t be scrolling through social media while you are trying to focus on other tasks and/or staying present. Better routine = don’t check your phone first thing in the morning. Make a rule about what you are going to do before you invite screens into your day: take a shower, eat breakfast, read the news (in print!). I believe that movement is Getaway 🙂 At Getaway, we often say that we work more in the wellness space than the travel space. We feel kinship with spas and other wellness-oriented companies whose aim is to incorporate more wellness rituals into everyday life and routines but feel the deepest and simplest form of wellness is just getting back in touch with yourself and your loved ones which is the opportunity we hope we provide. As Getaway gears up for a major expansion in the coming months, our goal is to bring about a movement towards increased well-being by providing these experiences to get people to take a break from work and technology and back to the quiet of nature, all with minimal time spent on planning vacations. If we can restore balance on a widespread scale with Getaway, that’s the ultimate wellness movement. You can follow Getaway on Instagram and Facebook.